Each month Piranha Records presents to you the top world music video and album releases, as seen through the eyes of the World Music Charts Europe and Transglobal Music Chart. Radio DJs from 24 European countries collect each month their top albums for the World Music Charts Europe, which then leads to the annual WOMEX label award. The release of the charts is supported by the World Music Workshop of the European Broadcasting Union (EBU) and offers to EURORADIO members the opportunity to exchange music, experiences and projects. The Transglobal Music Chart is the new kid on the block. It was conceived in 2015 as an open worldwide network of music critics, who are working on a regular basis, spreading world, roots and traditional music. In early 2016 it already included experts from 28 countries on all 5 continents. 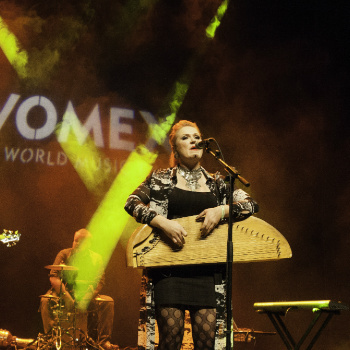 We saw them for the first time at WOMEX 16 in Santiago de Compostela as one of the official showcase artists and we were amazed by their dynamic performance! This month - and for the third month in a row, Okra Playground keep on rocking the world music charts with their debut album "Turmio ".